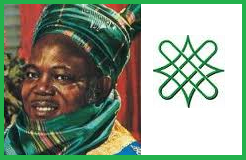 The Arewa Consultative Forum (ACF), has warned those calling for the restructuring of Nigeria to have a rethink, insisting that the nation should preserve the present federal structure of governance. The forum also condemned the attacks on oil pipelines by Niger Delta militants, the Boko Haram insurgency, herdsmen attacks and other criminals. In a statement issued by its National Publicity Secretary, Muhammad Ibrahim, the group faulted the stance of groups agitating for the restructuring of the nation. “Unfortunately, in most cases, they are followed up by some ultimatum to the authorities to accept or face deadly consequences. Some groups refer to restructuring to mean true federalism, others call it resource control”. However, the statement notes that restructuring a complex, big and diverse country as Nigeria is a serious business that must take account of the views of all its citizens, and not just of those that shout the loudest or issue threats, intimidation or blackmail. On the security challenges facing the country, the forum noted that despite the efforts of the military and other security agencies in tackling insurgency, militancy, kidnapping and indiscriminate killing of innocent citizens by gunmen, the menace is becoming a serious threat to peaceful coexistence of Nigerians that have lived peacefully over the years. “The recent killing of the traditional ruler of Bokkos Local Government Area in Plateau State, the Saf Ron Kulere, Lazarus Agai and the kidnap of another traditional ruler in Benue State for ransom and many others, raise serious concern”. “ACF therefore condemns in strong terms the dastardly act of unknown gunmen who killed Saf Ron Kulere, Lazarus Agai and calls upon the security agencies to not only fish out the perpetrators of this heinous crime but also to prosecute them to serve as deterrent to others”. “ACF also extends its condolences to the Government and people of Plateau State, the family of the paramount ruler of Bokkos over the killing of the traditional ruler.”, the statement said.